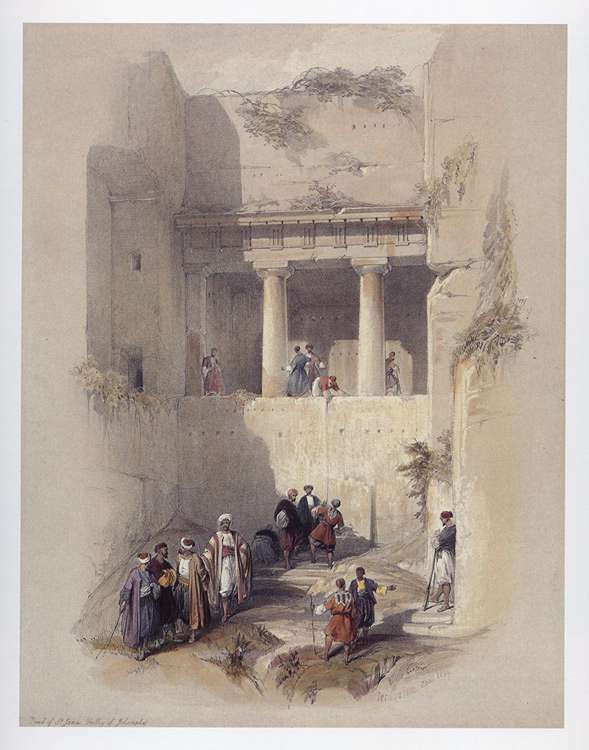 Comments: One of the very few vertical half-folios from the Holy Land series, a fine depiction of one of several ancient tombs located outside the old city walls of Jerusalem. Title: The Tomb of St. James. Image: Approx. 10" x 13 1/2"